Does your child love riding on your shoulders? 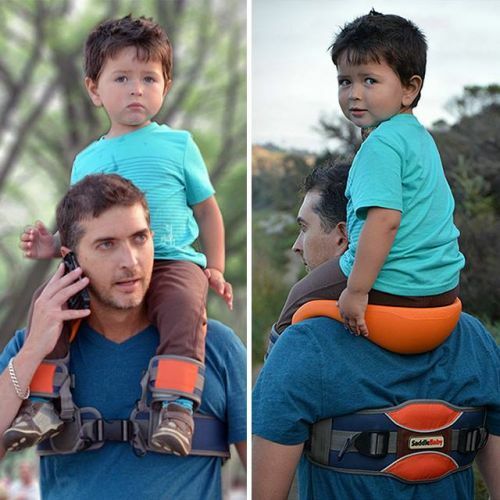 This hands-free shoulder carrier is designed to make shoulder rides safer and more comfortable for everybody. Shoulders are great for carrying stuff, especially your most precious cargo. Tiny humans love being up high where they can see everything around them. There is, however, a small amount of anxiety induced by the task of holding your child’s ankles, in case they suddenly over-balance. With this invention, you can strap their ankles securely in place, while enjoying the comfort of the foam saddle. Great for children 2-5 years old.